Precision of Naming: Science Fiction, SF or Sci-Fi? I grew up reading science fiction, or whatever, in the late 70s and early 80s—in the wake of Star Wars, sure—but also in the afterglow of the New Wave of late 60s early 70s SF. (I’ve obviously drifted into another annoying subgeneric term, but stay with me.) The New Wave was a movement characterized by rampant and occasionally ill-advised experimentation. The term “speculative fiction” arose out of that movement and is still a favourite of many good writers and critics; and is yet another entertaining entry in Mr. Walter’s glossary. The New Wave writers—like Michael Moorcock, Harlan Ellison, J.G. Ballard, Ursula K. LeGuin—disdained the use of the term sci-fi because Forry‘s pet name cheerfully included all the b-movie cultural detritus from which they sought to distance their art. And despite my love of b-movies and related schlock, I read so much Ellison et al as a young man that I’ve never been able to fully embrace the name sci-fi. Which is unfortunate, as sci-fi has stuck with the majority of the public at large. That I would choose to cling to an abbreviation like SF at the risk of being misunderstood perhaps says more about my character than I’d care to examine. Further, the choice of the name Albino Books speaks to my love of the work of Moorcock, who is one of the kings of cross-genre experimentation, where these labels cease to be meaningful. 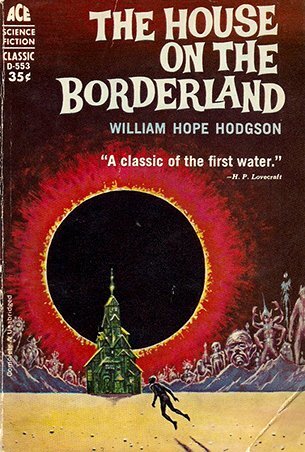 In my last post I brought up William Hope Hodgson, who wrote for pulp magazines long before the term science fiction was invented and before the semi-rigid marketing categories of science fiction, fantasy, horror and mystery became commonplace in bookstores. The recent emergence of the term New Weird is partially a reaction to the restrictions of these current genre definitions. 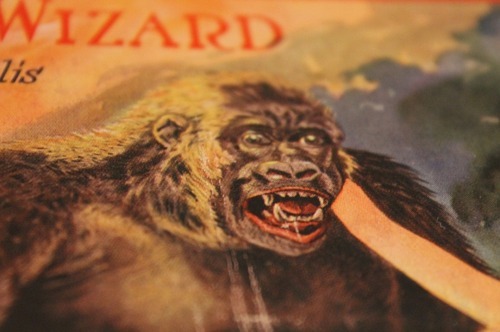 Writers like my hero China Miéville, equally inspired by Hodgson, Lovecraft, The Island of Dr Moreau and Advanced D&D, have returned to a Weird Tales-style soup of unexpected genre tropes—tales of the fantastic and unusual. I contend that the the impulse to mix these seemingly disparate elements is really the natural order. I sympathize with the dogmatic loyalty many writers feel towards hard science fiction—or, yikes, even Mundane SF—the grounding in real science that would seem to provide a firmer foundation to build a story upon. But China Miéville is the perfect example of a writer comfortable in moving freely from genre to genre—weird tale, fantasy, science fiction, detective fiction and back again—with no loss of purpose or quality. The reason for this is his ability to fashion a new, airtight internal logic in each successive story. He establishes rules for each new world he plays in, then rarely or never breaks those rules. No matter how weird, or even transgressive, a given story element may seem in some of China’s work, they all flow together in sympathetic fictional frameworks—nothing seems completely out of place, even the truly weird. There’s also some melancholy to be found in the way these adherents to separate splinter factions of fantastic storytelling often react to each other with open hostility. Don’t get your urban, romantic, paranormal fantasy in my post-colonial, slip-stream, steampunk, science fiction—our imaginary nerd seems to say—you just don’t get it. As fans and practitioners of sci-fi, aren’t we already marginalized enough without turning on our brothers and sisters? I understand the impulse that leads so many to expend so much energy on defining themselves and what they do—I’m even a sucker for a good manifesto—but isn’t the act of defining an art the first step towards codifying that art? And isn’t codifying any art an inherently reductive act?